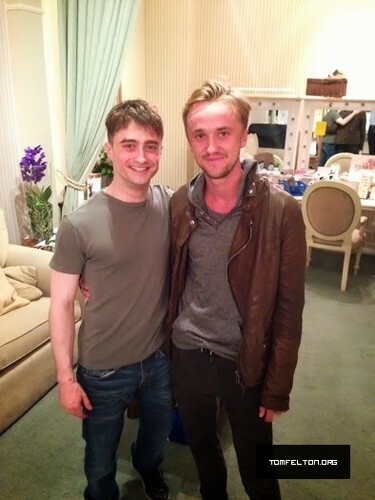 Tom Felton visits Daniel Radcliffe at “The Cripple of Inishmaan" performance. . Wallpaper and background images in the Tom Felton club tagged: felton tom felton.